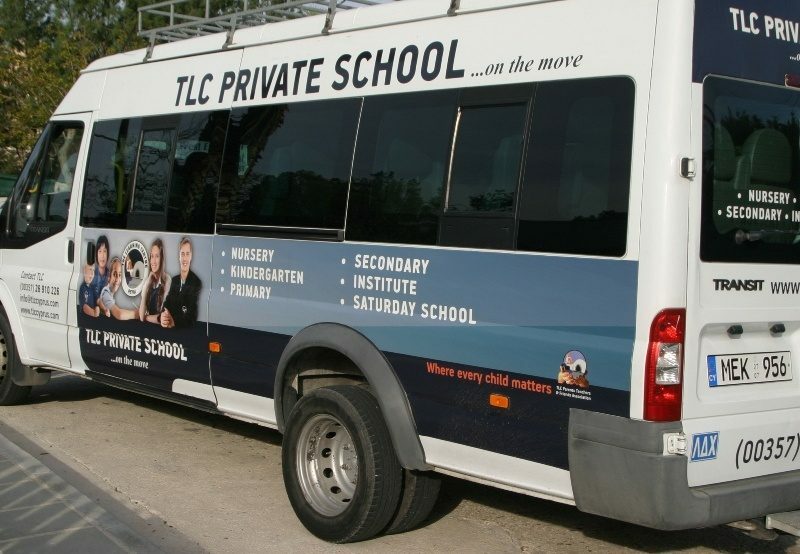 At TLC we are committed to enriching the experience of our students by organising educational visits using our school transport minibus. These visits may be to a local venue or further afield to Paphos or any number of significant sites that are in abundance in Cyprus. 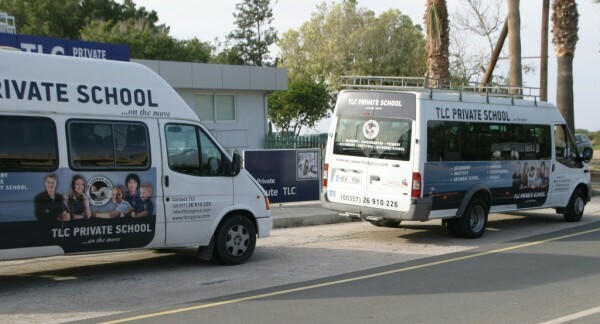 We have two coaches and fully qualified PSV drivers, both very experienced drivers and employed full time at TLC. Our drivers know the parents of those they transport to and from school each day. Our coaches are cleaned daily inside and out, regularly checked and services are kept up to date at all times. 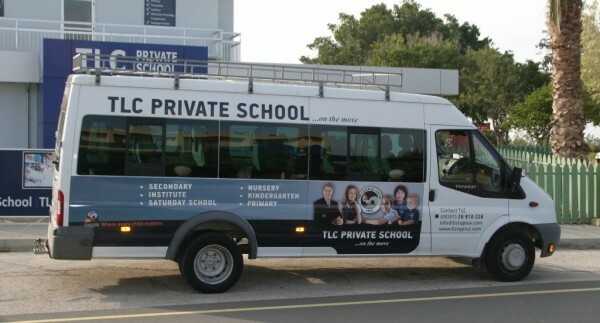 If it’s passed you on the road, it’s unlikely you will have missed our bus as it’s been heavily decorated with our logo and images of students. 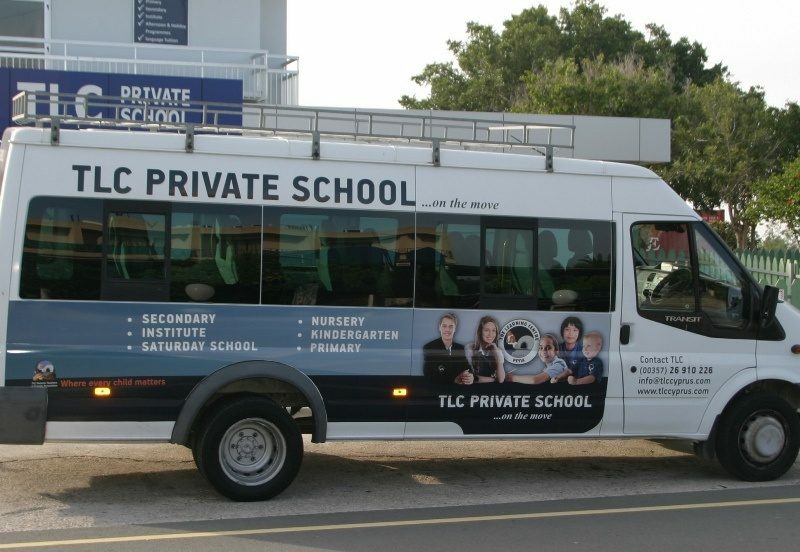 Our coaches enable us to travel to venues very easily for educational visits, university exhibitions, sports matches, etc. 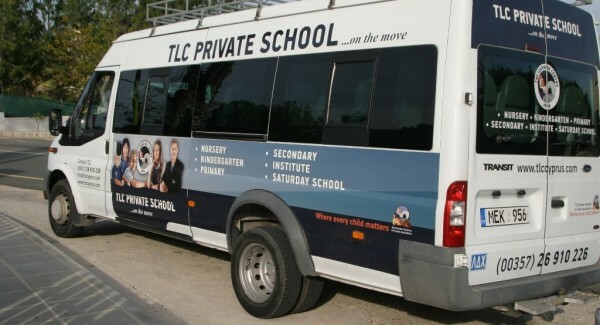 For some students buses operate as a daily taxi to and from school. 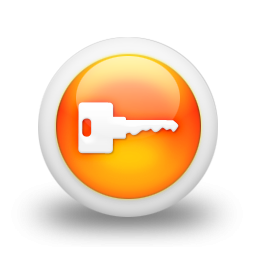 We pick up and return children to and from their homes for a very reasonable daily charge that can be calculated and included in fee illustrations if required. Please ask or email for further information. 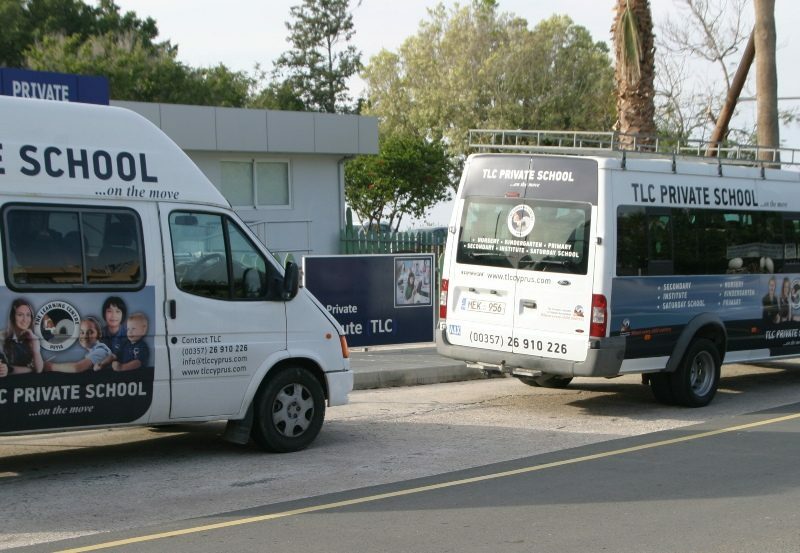 Our school coaches are operated in accordance with the transport regulations in force on the island and for your reassurance, is maintained by qualified mechanics.